How do I send high quality video AND high quality sound over one HDMI cable? SALT neatly solves this problem by extracting the audio from the HDMI signal so you can send it to a separate speaker system. So you can use you can use your T.V. to display an image while using a separate speaker system for the audio so you can have a better viewing experience. 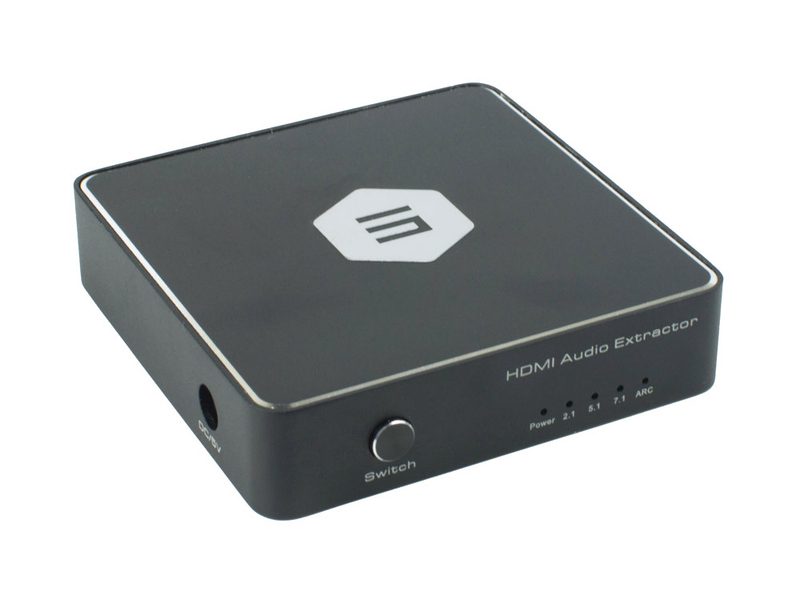 This audio extractor can extract the audio signal from the HDMI interface and then transmit the audio to the Amplifier Receiver by SPDIF or 3.5mm audio cable. 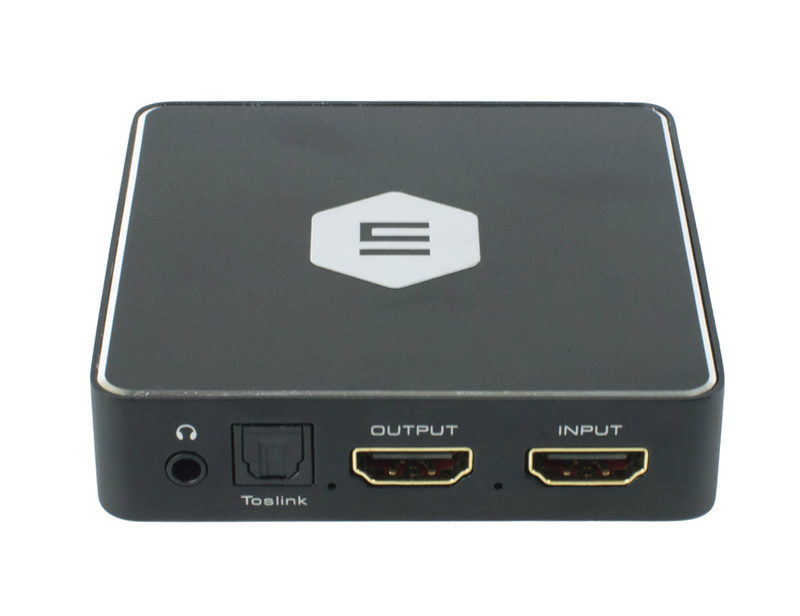 Extract audio signals from your HDMI cables and transmit to SPDIF or 3.5 mm to your speaker system for crisp, high-quality sound.